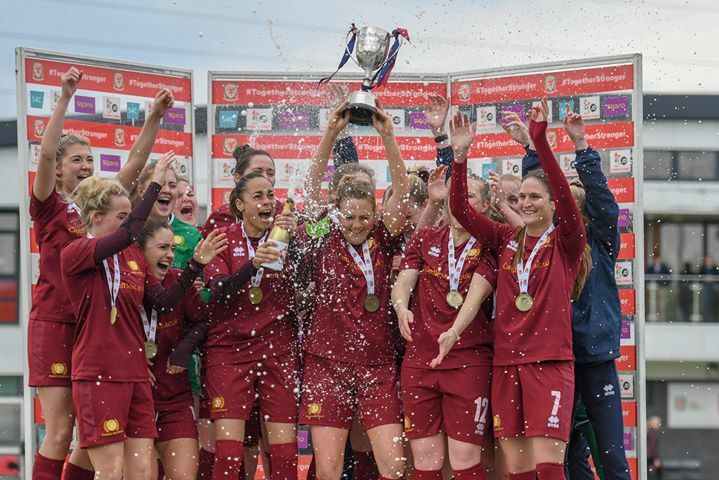 Cardiff Met lifted the FA of Wales Women’s Cup with a 2-0 result over Abergavenny at Dragon Park, thereby completing a domestic treble. Met’s Emily Griffiths headed against the bar from a Naomi Clipston cross but shortly after in the 19th minute, Madison Schupbach controlled a cross and slotted past the goalkeeper. Lyndsey Davies went close for Abergavenny from distance, forcing Estelle Randall into a diving save but her side were two down on 34 minutes. Charlotte Hastings made a great save to deny Clipston from the edge of the box, only for Schupbach to return the half-cleared corner into the back of the net. 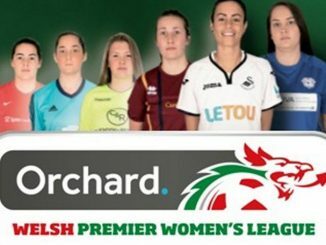 Meanwhile in the Welsh Premier Women’s League, Swansea City sunk Briton Ferry Llansawel 7-0 and, while Cardiff City FC Women held second place when winning by the only goal at Port Talbot Town. The Swans hit their visitors for six in the first half, with a hat-trick in the opening 22 minutes for Stacey John-Davis, one each for Nieve Jenkins, Jodie Passmore and Emma Beynon, the latter netting again in the second period. 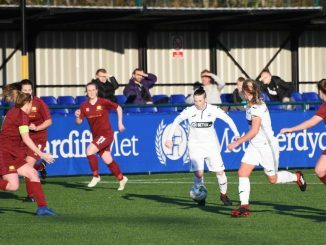 The Bluebirds struck decisively 2 minutes before the break, as Alana Murphy sprinted one-on-one with keeper Vicky Beddows and slotted into the bottom corner. 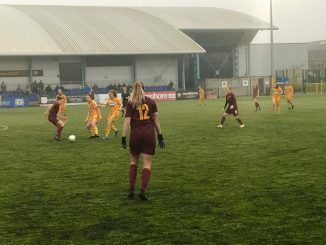 Port Talbot had Laura May Walkley sent off in stoppage-time.